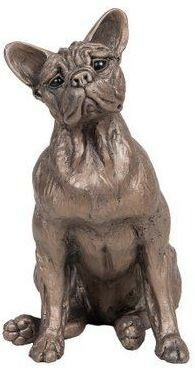 Popular French Bulldog sculpted by Harriet Dunn. Created from solid cold cast bronze resin. Weighty and solid. 20 cm tall (8 inches).